Beverly is a Senior Consultant / Executive Coach with over 20 years of business management experience in the Financial Services, Mutual Funds, Banking, and High Tech industries.She is a leader with superb skills in relationship management, training, and coaching. Beverly has a reputation for effectively leading and inspiring teams, developing new leaders and uncovering unique talents and strengths. Beverly’s “high-touch/right touch” approach allows her to build professional relationships that are dedicated to established goals. She is recognized for creating a safe and rewarding environment for her clients. Beverly worked at Vanguard for 16 years in management roles leading teams and overseeing the operations of project and program management departments within Vanguard’s Institutional, Brokerage and Human Resources areas. She was a Relationship Officer at Meridian Bancorp managing corporate retirement plan accounts; Advisory Customer Service Representative at IBM supporting government accounts. As a community servant, Beverly volunteered as a Career Coach at Dress for Success, a non-profit organization in Philadelphia. Beverly broadened her professional experience to Higher-Ed and was an Adjunct Instructor at Montgomery County Community College, teaching project management courses to adult students enrolled in the Health Technology Specialist program funded by the U.S. Department of Labor – Employment and Training Administration. Beverly’s recent coaching engagements include: Working with a Senior Manager at a Government organization in Delaware on developing the business strategy for a small business. She is advising on business development, marketing, communications, and training programs the company will deliver to Leaders about performance management and managing employees with learning disabilities. She is partnering with the Philadelphia Gas Works (PGW) as an Executive Coach coaching Leaders in the Leadership Development Program. As an Executive Coach at PGW, Beverly is charged with managing the 360º Assessment process and working one-on-one with Leaders on developing action plans based upon assessment results. 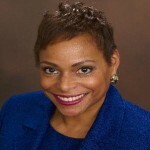 Beverly graduated from Lincoln University in Oxford, PA with a Bachelor of Science Degree in Public Affairs and is currently obtaining a Certified Professional Coach (CPC) certification from the Institute of Professional Excellence in Coaching (iPEC.) Her education in earlier years was in Philadelphia where she was born and raised. Beverly is a member of the International Coaching Federation (ICF) and the Association of Career Professionals International (ACP).